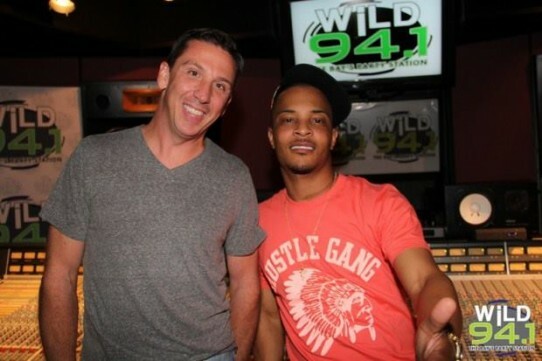 WiLD 94.1 - T.I. listening session in our Studio A for his new album, "Paper Work", with the WiLD 94.1 station contest winners. T.I. revealed that he’s recorded 250 records for his upcoming album, and that Pharrell will be producing the bulk of the new album. 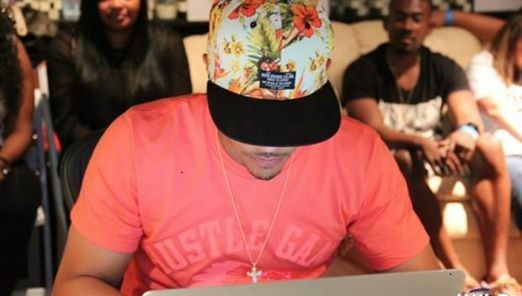 PICTURED: T.I. and Chief Engineer Pinky at Big3 Studios in Studio A.
PICTURED: T.I. at the console in Studio A sharing his upcoming release, "Paper Work" with the WiLD 94.1 contest winners.